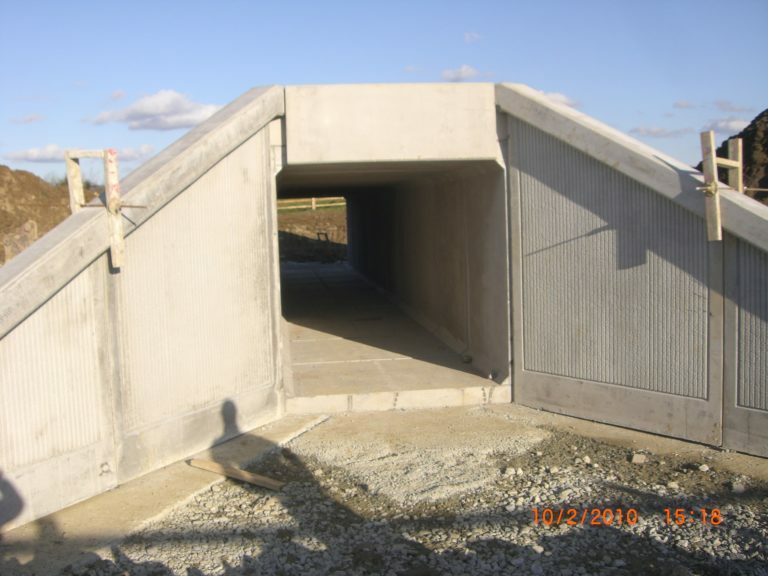 Culverts allows water, traffic, pedestrians or livestock to pass under a road, railroad or similar from one side to the other and are typically embedded and surrounded by soil. 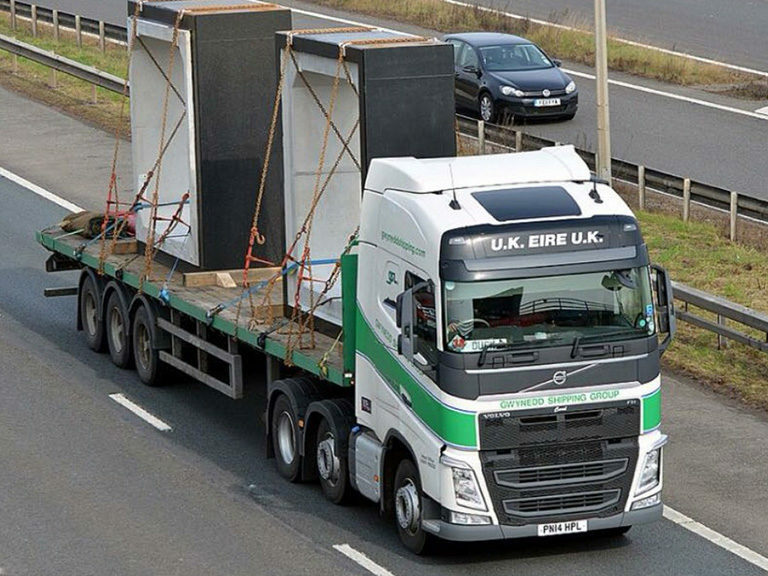 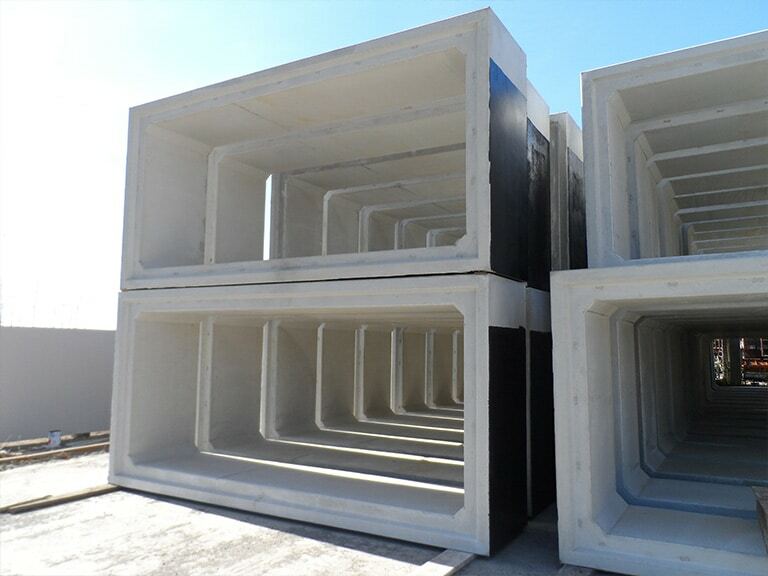 Precast box culverts are quick and easy to install, their proven strength and durability ensures that long term service life requirements are easily met. 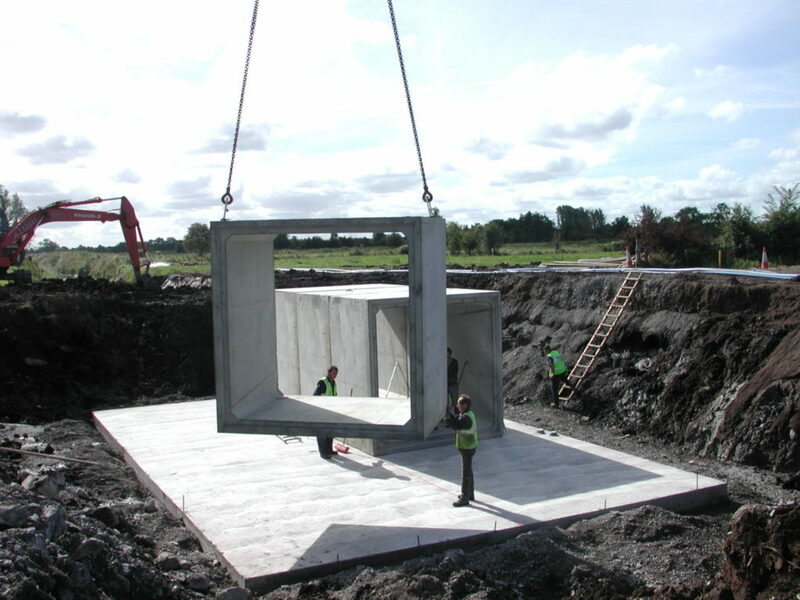 A wide range of sizes and configurations are possible with box culverts so our designers ensure that each project is individually designed for application and loadings. 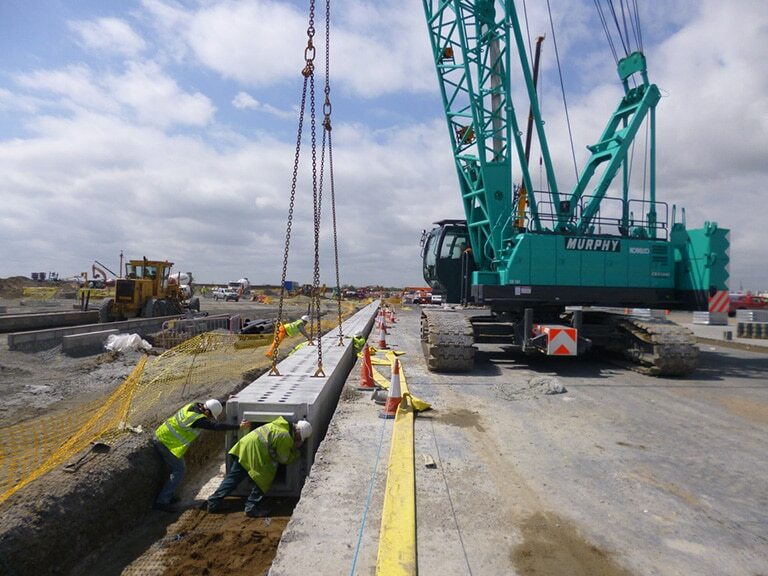 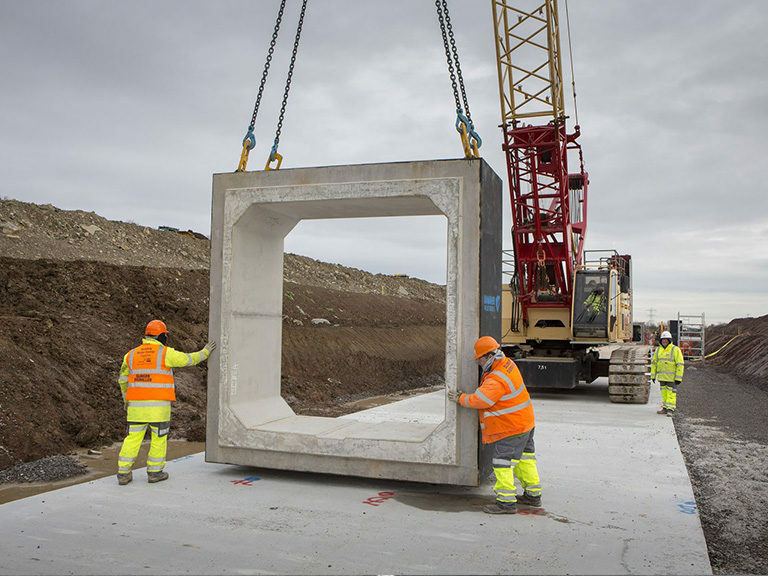 We also have several adjustable moulds which gives us the flexibility and capacity to fulfil high volume projects – to date our longest spanning culvert projects include an impressive 2 km for London Gateway and 670 m (550 culverts) at Hinkley Point. 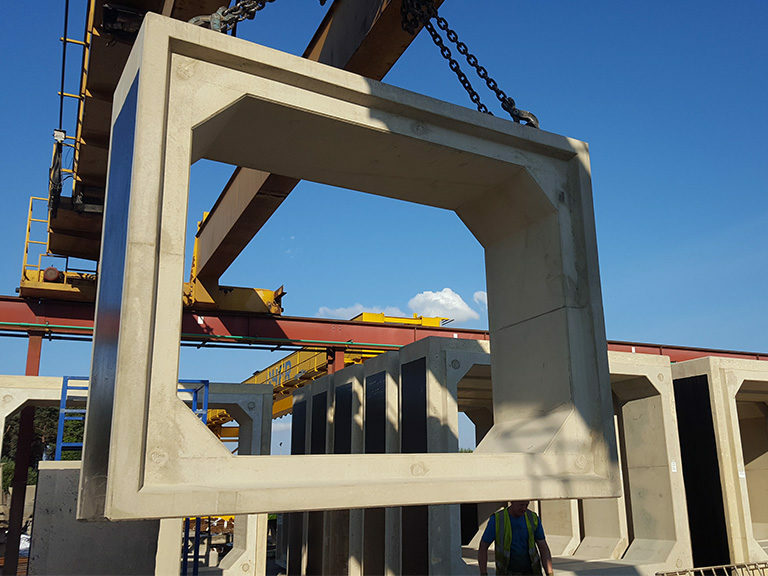 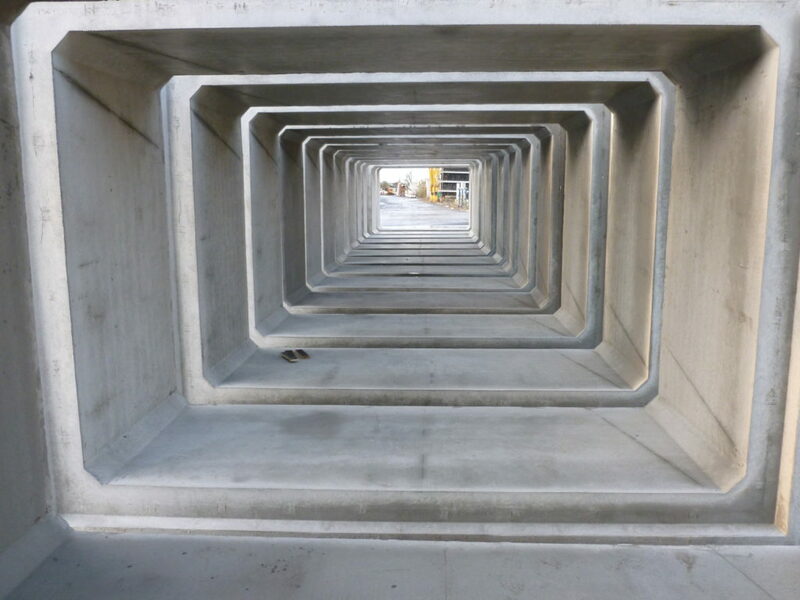 We provide a full precast solution including head beams and retaining wing walls which are placed at the entrance and exit of the culvert to retain fill. 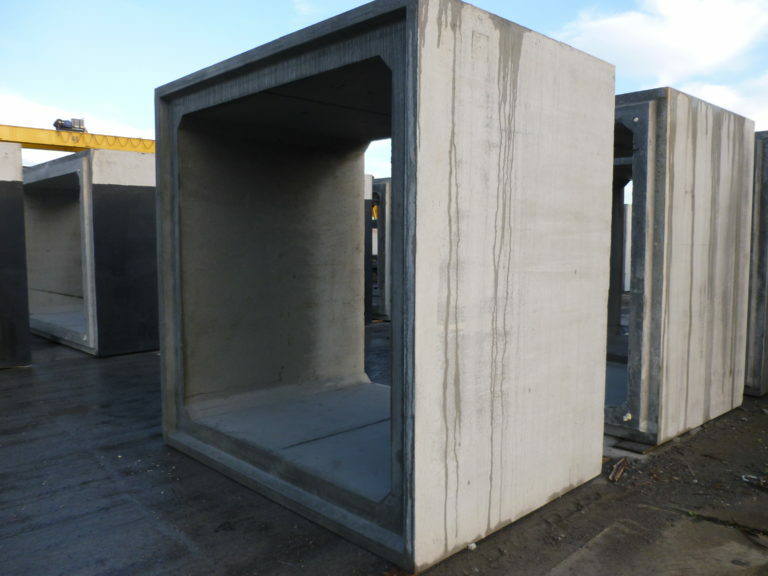 Our wing walls can be splayed or square in shape with projecting steel at the base so that an in-situ slab can be easily poured.